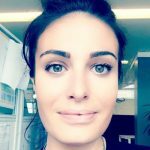 How a Digital Experience Center (DEC) aligns development, operations and the business for the best customer experience? 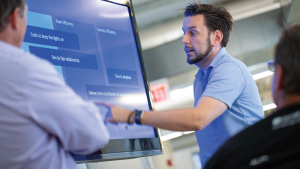 Backed by the right technology and expertise, Digital Experience Centers (DECs) offer visual platforms for dynamic collaboration between dev, prod, and ops teams together with business stakeholders. They support an agile DevOps culture across an entire organization. This in turn positions user experience squarely as the top priority. 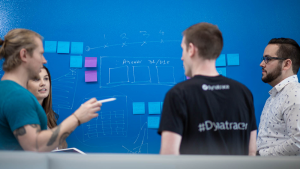 They teach us how Dynatrace can bring customer insights, visibility into new stack technologies, and detailed management of the deployment pipeline to transform its online learning platform, Dynatrace University. See for yourself how information in context drives success for digital businesses. 3rd Party hosting is like a box of chocolates, you never know what you are going to get… and Digital Transformation increases complexity!!! 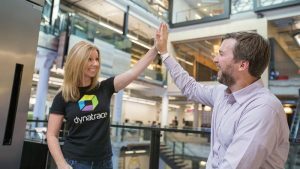 Dynatrace is designed to deliver value for all three of these audiences, and to bring them together by providing metrics and automation that break down silos and facilitate communication and collaboration. Digital business owners increasingly recognize that revenue and brand equity are intrinsically linked to the quality of the digital experience they deliver. For them, we provide gap-free user experience analytics that help them assess and optimize each and every “digital moment”. These customer experience and application usage insights can help them unlock business opportunities. For IT operations, we enable automation and orchestration, which is critical in this environment of increasing operational complexity. Our Artificial Intelligence engine processes millions of cross-domain data points to automatically pinpoint the root cause of performance issues. This breakthrough capability redefines the economics of application monitoring, enabling teams to take on more applications, while drastically reducing their investigation times. For development teams, we deliver the deepest integration into application Lifecycle & Continuous Delivery. From unit test to load test and thru automated release feedback loops, Dynatrace is an integral part of the DevOps toolchain to automate quality checks, proactively identify performance issues, and ensure confident delivery.